Thaw the whipped topping in the refrigerator for a few hours or overnight. Empty whipped topping into a bowl. 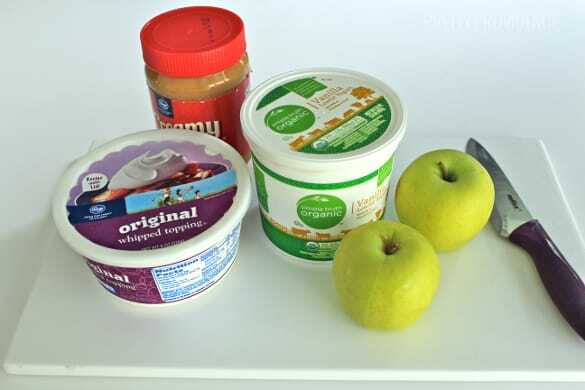 Add Peanut Butter and Yogurt to bowl and mix all thoroughly. Oh yummm. See how creamy that is? You’re gonna love it. 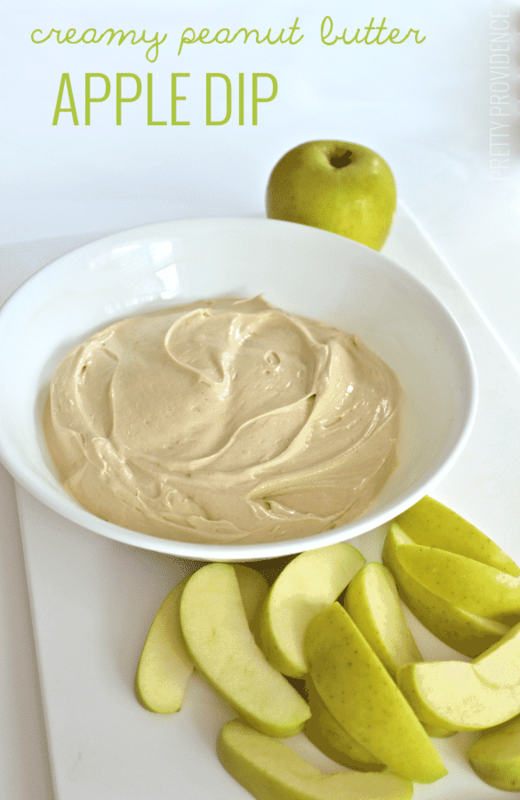 I think this dip would be perfect in small containers (like these) to send with kids in their school lunches as well! All their friends will be jealous. I’ve never tried this with any other kind of fruit but I imagine it would be delicious in other combinations as well. Happy snacking! 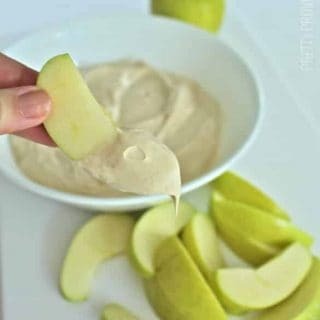 I’m not an apple person but this dip would be awesome with graham crackers! 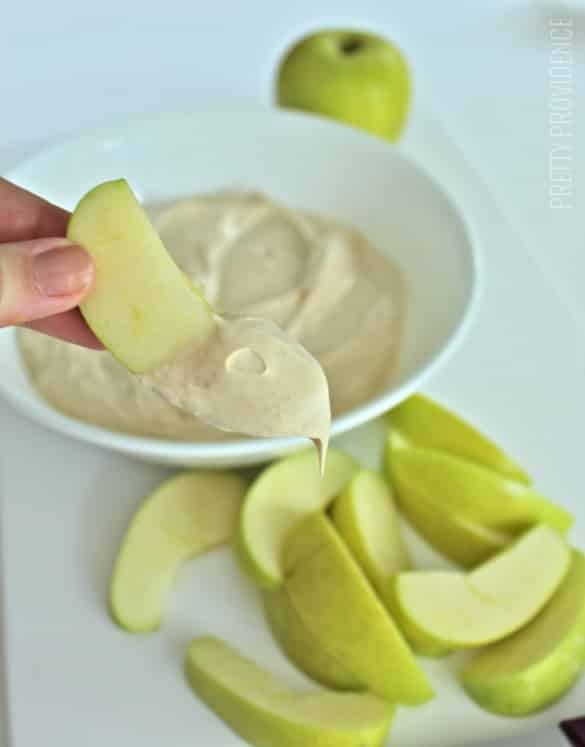 cardshark says the dip would be great with pears too.